THIS IS NOT A RETURN TO FORM. THIS IS NOT A COMEBACK ALBUM. This is, simply, the finest, heaviest, most brutal & punishing Megadeth album Dave Mustaine has ever recorded. Having suffered a debilitating nerve injury in his hand two years ago, Megadeth's future was in serious limbo. 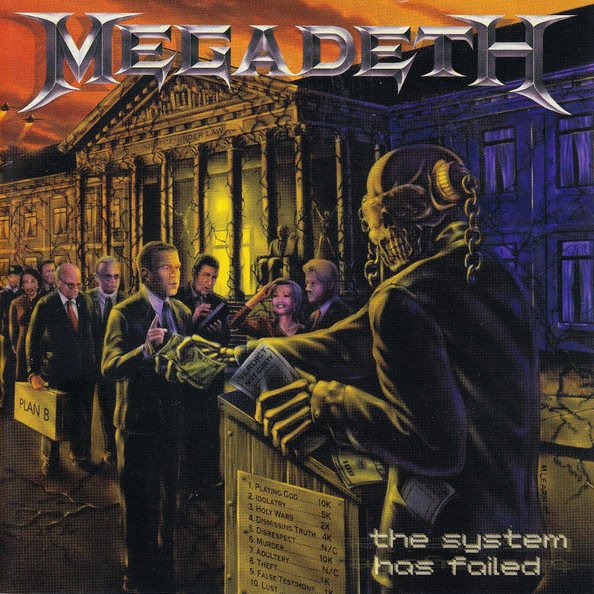 Yet THE SYSTEM HAS FAILED returns Megadeth to the top of heavy metal's ruling class. 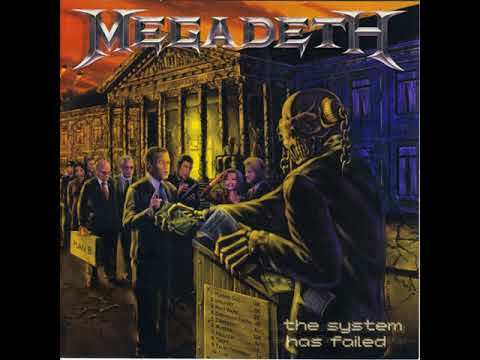 This is Megadeth's crowning achievement. THE SYSTEM HAS FAILED begins with a kick to the aural senses with "Blackmail The Universe" & does not let up for the next 63 minutes. This is a heavy metal album in the purest sense: Guitar solos that defy technical logic, time signature changes that leave the mind reeling & melodic sensibilities that make this the MUST HAVE metal album of the year.